This last week was Book Week, my favourite week of the school year, when the Children's Book Council of Australia releases the names of the winning children's books, the kids go to school dressed as their favourite character and the whole school celebrates reading with a whole lot of book related fun. We make a point of trying to read all of the picture books. 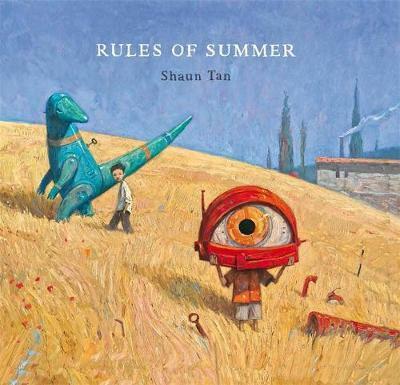 Our favourite was the winning Picture Book of the Year, Rules of Summer by Shaun Tan. Rules of Summer is about two brothers and the set of 'rules' that govern their relationship. There are few words in this extremely understated narrative, leaving big gaps between what you read and what you see. The illustrations are intriguing and evocative, inviting the reader to compose their own emotional response. I imagine that this book means different things to different readers. It would be fantastic for developing the skill of inference and exploring perspective. The Swap by Jan Ormerod is about a young crocodile named Caroline who is jealous of the attention her baby brother is receiving from Mama Crocodile. After spotting a Baby Shop, Caroline has the brilliant idea of swapping her baby brother for a new baby who isn't smelly and doesn't drool so much. This book provides excellent opportunities for discussions about feelings of jealousy and changes in family structure. The playful, whimsical illustrations depict the range of emotions Caroline and the other characters experience. It would be interesting to explore the illustrations on their own to see if students can recognise the variety of emotions expressed through the body language and facial expressions of the characters. 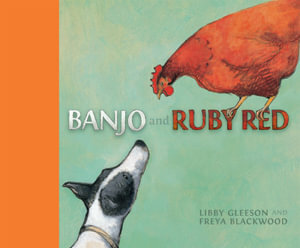 Banjo and Ruby Red by Libby Gleeson is a delightful story with strong themes of friendship and compassion. It is accompanied by beautiful paintings by Freya Blackwood which express the action and movement of farmyard life perfectly. Banjo is a "chook dog" and it is his job to get the chooks into the chook yard. The problem is that there is one annoyinging head-strong chook named Ruby Red who always sits on top of the woodheap, refusing to comply with Banjo's request, despite his barking and leaping. Then one day Ruby isn't sitting on the woodheap and Banjo searches everywhere for her. Eventually he finds her, but she is sick, so Banjo takes her back to his kennel to look after her. Students might be able to connect with the conflict between Ruby Red's antagonistic behaviour and Banjo's responsibilities. Perhaps student's could reflect on a time when they have experienced someone who has refused to do as they asked, to explore the alternative perspective and reflect upon the way the disagreement was resolved.